Your chance of making an impressive first impression when applying for a job is a one-time opportunity that you need to seize. Your resume or CV can be the thin line between setting your foot in for an interview or getting rejected before you even had the opportunity to introduce yourself. Your CV should always be tailored to the job you are applying to as well as the fact that it shouldn’t exceed two pages. The time and effort we used to spend on making a representable resume in the past have been minimized, thanks to the wide variety of resume builder apps for Android that hit the market. 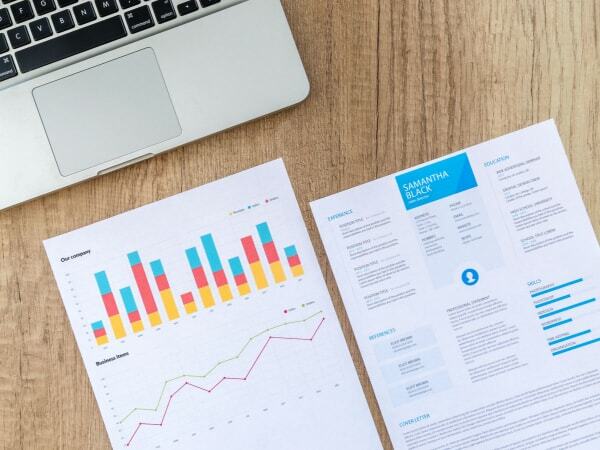 The paper-based resume has been quickly replaced with a well-designed CV, but what are the best resume builder apps or tools that you can use in this process, what is the criteria that should be followed? Branding yourself is something you need to learn about before creating your resume. This is especially required if you are someone who hasn’t updated their resume for a long time or never had nor needed one. You can learn more about personal branding right here before we go ahead and tell you all about which resume builder apps for Android you should use for a stunning CV. Even if you're not tech savvy, there are some simple interfaces out there that can be extremely easy to use. Below is a hand-picked list of best resume builder apps available for Android OS. It's of the most popular with over one million active users on more than one platform. VisualCV provides you with job-specific templates; from IT to nursing. The great thing about VisualCV is that it allows you to upload an existing CV to edit it further using the app. It also gives you a choice to use two types of CV editing techniques; basic and visual. Visual editor allows you to edit every single section; change the colors, font, and you can even modify the margins. Basic is the quicker version where you just have to enter the info into an already populated template. A very popular resume builder among those who like to edit their resume visually down to the smallest possible detail. Canvas allows you to choose from a massive library of templates, fonts, colors, and different visual elements ranging from icons to photos, all designed by professional designers. The best thing about Canvas is that you only pay for the premium elements you use instead of buying any packages. If you choose to, you can build a resume entirely for free. To those who like making their resume an interactive experience, Visualize.me is the perfect resume builder tool for them. The system is designed to collect your data from LinkedIn and integrating it into a web-based interactive infographic that visually represents your experience, education, skills, languages, etc. The best thing about Visualize.me, is that it can display your career on a minimalist timeline where you can hover your mouse over any entry to get a quick brief of your job and what you used to do. The market is full of resume builder apps, yet it’s not best and worst, it always boils down to the type of job you intend to apply to. Different jobs may expect specific types of CVs, whether it’s minimal with simple text or an interactive visual experience. Remember that you can always try most of the apps for free to see if it’s worth buying the premium features or not.